Letting kids make their own school lunches helps them become more self-sufficient. And lets you have more time to get other tasks done. This post originally appeared on Parent.co. I dreaded it every morning. 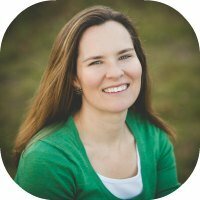 It was like walking through a minefield of carrots, wheat bread, and yogurt – trying to guess what to pack for my kids lunches and how much. And then there was the time loss – while I was slapping together pieces of bread with mayonnaise and ham, I’d be thinking of the millions of other tasks I needed to complete that morning – laundry started, dishwasher emptied, hair brushed (if I was lucky). Making lunch got in the way. As my kids finished up their chores, got dressed and were ready to go, I’d still be racing around the house hoping I’d have enough time left to put deodorant on. And to add insult to injury, later in the afternoon I’d hear : “Mom, you didn’t give me enough jam.” or “Don’t you know I hate snap peas?” Sigh. I couldn’t win. But one day it dawned on me – Why am I doing this? And why was I? I had reached a point in my parenting experiment where I had decided my kids both should and needed to take on more responsibilities. Packing their own lunches fit the bill. At ages 6 and 8, my kids were fully capable of putting together a decent meal and packing it to go for school. Sure the lunch may not be perfect, but they would be packing what they wanted to eat and certainly couldn’t complain about it. 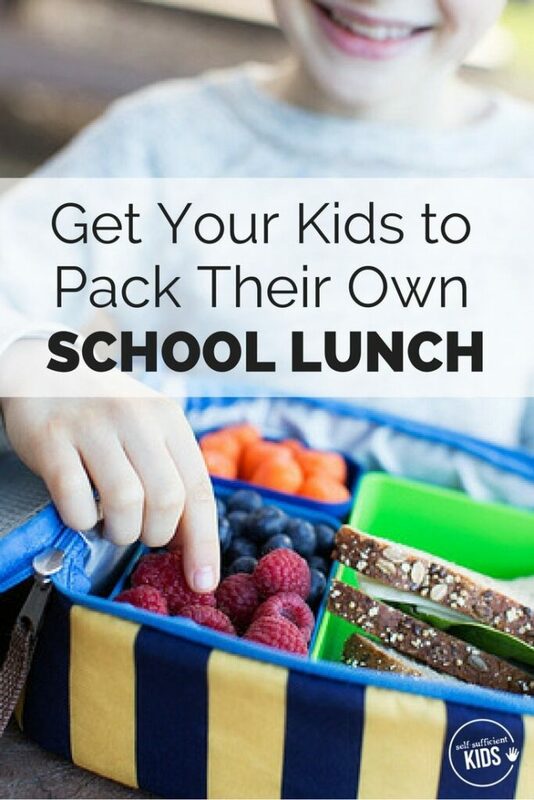 And as I later learned, having my kids pack their own lunches not only meant they were taking on more responsibilities but was teaching them how to put together a well-balanced meal. So last September, it began – I told my kids that it was now up to them make their own lunches. Yes, in the beginning I’d hear that spreading peanut butter on bread was beyond them. Or that there’s no way they could ever take sliced turkey out of its packaging (too slimy). But as I continued to insist that this was now their job (and provided them with some guidance on how to do it) they began to catch on and embrace the task. Today I’d love to say I’m able to enjoy a leisurely breakfast as my kids rush around the kitchen putting together their lunches, and while that’s not exactly the case, I am able to step back a bit and let them take over. And you may be right. But here’s the thing – if you don’t have junk food in the house, then your kids don’t have the option to pack it. 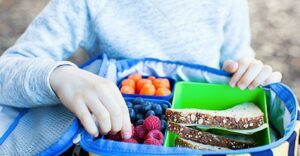 While this might be extreme for some families, parents can also inspect their kids lunches once they’re done to make sure the meals are well-balanced. My kids know they must pack a main dish (typically a protein, sandwich or even loose nuts will do), vegetable (sometimes substituted by fruit) and their mid-morning snack. I usually talk to them about what they’re packing and sometimes nix certain things or make suggestions about what might go well together. Won’t I Just Have to Do Most of the Work for My Kids Anyway? Yes – at first. You will need to show them the best containers to pack what they need. You will need to teach them how to open and close packaging. You will need to teach them how to use a knife to both cut fruit and spread nuts butters. But once they’ve mastered these skills and know the basics, you’ll only be needed for tasks like opening jars and slicing bread. And in the end, your kids will have acquired valuable life skills. I’ll admit, getting my girls to eat has never been a problem, so I’m not an expert here. But I suspect that having a kid who doesn’t like to eat pack his or her own lunch might inspire them to eat more. Why? Because they made their lunch and are proud of it. It’s something that they have ownership over. And like I said before, the parent can still make sure enough food and the right food is being packed. So there you have it – stop wasting your time in the morning trying to figure out what your kids will eat for lunch. Instead, let your kids take over, learn valuable life lessons, and feel like they are contributing members of the family. In the end, you’ll be doing less housework and they’ll be better prepared to take care of themselves.